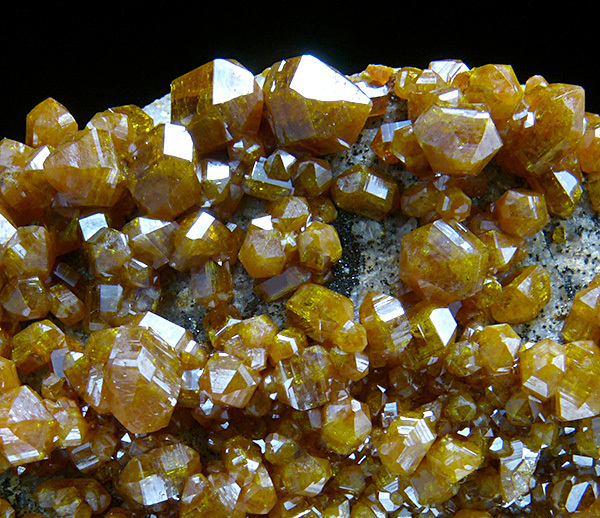 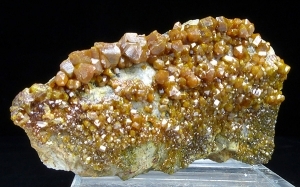 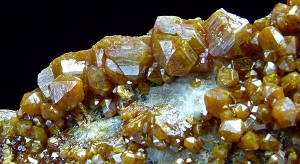 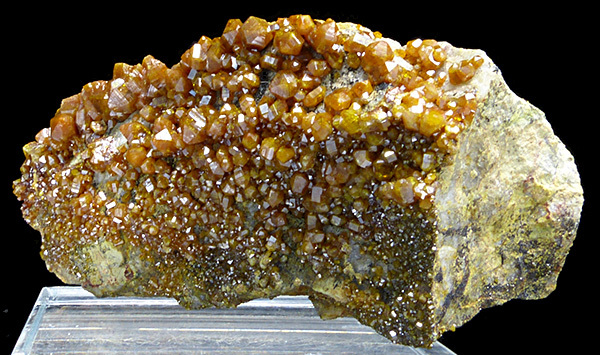 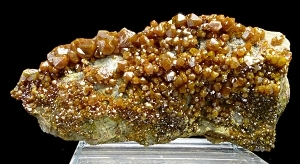 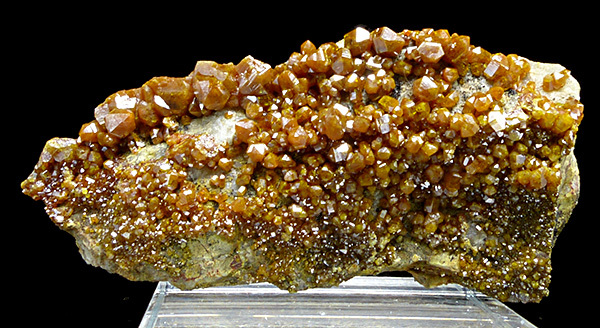 Cluster of lustrous and sharply formed, orange crystals of vanadinite on matrix. Rare locality. 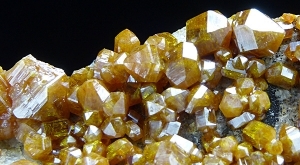 Top luster!